High quality polygonal model of bridge. Animated: No; Low-poly: No; Materials: Yes; Rigged: No; Textured: Yes; UV Layout: No; 3D File Formats Included: .fbx (multi format), .max (3ds Max), .obj (multi format); Created In: 3ds max 2010, 3ds max 2012; Geometry: Polygons; Poly Count: 26 166. 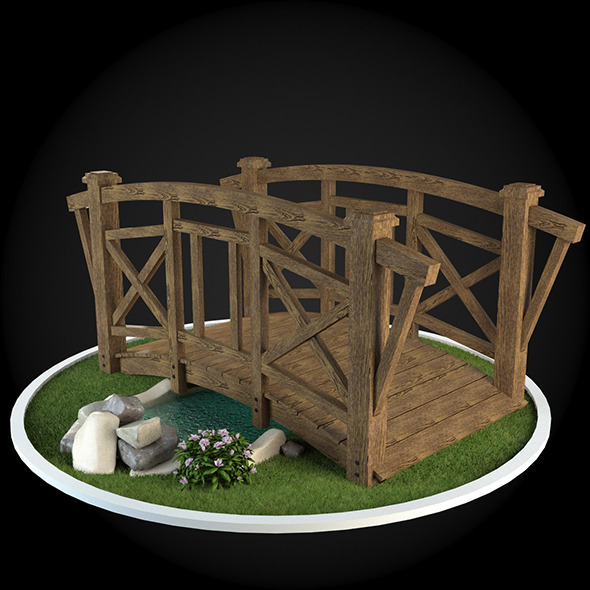 Keywords: 3d, architecture, bridge, building, classic, classicism, classics, decor, decorative, design, element, exterior, greek, interior, middle ages, model, realistic, render, rome, street element, v-ray. Create 3DOcean Bridge 024 6711214 style with After Effect, Cinema 4D, 3DS Max, Apple Motion or PhotoShop. 3DOcean Bridge 024 6711214 from creative professional designers. Full details of 3DOcean Bridge 024 6711214 for digital design and education. 3DOcean Bridge 024 6711214 desigen style information or anything related.